In October 2016, the U.S. Department of Energy (DOE) announced that it would award up to $80 million for a six-year project to design, build and operate a 10 MWe sCO2 pilot plant test facility in San Antonio, TX. 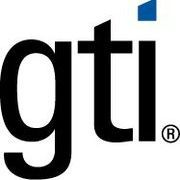 CURC member Gas Technology Institute (GTI) serves as the Prime Contractor and System Lead. The facility will be built at the Southwest Research Insitute (SwRI) campus in San Antonio, Texas, and CURC member General Electric (GE) will supply turbomachinery technology. For more information, click here. With SwRI and GE, GTI will design, build and operate the facility under DOE's Supercritical Transformational Electric Power (STEP) program. The Supercritical Transformational Electric Power (STEP) program is a U.S. DOE Crosscut Initiative, consisting of a collaboration between the DOE Office of Fossil Energy, Office of Nuclear Energy (NE) and Office of Energy Efficiency and Renewable Energy (EERE) Supercritical Carbon Dioxide (sCO2). The Office of Fossil Energy is the designated budget focal for STEP. STEP is a Crosscut Initiative because the technology has broad applicability to variety of heat sources (coal, natural gas, nuclear, solar, geothermal, waste heat, etc.). As opposed to a conventional steam-based power generation system which relies on the Rankine power cycle, the use of sCO2 as a working fluid in the power generating turbine instead allows for use of the higher efficiency Brayton cycle. This results in reduced fuel consumption, lower emissions, lower cooling water consumption and a compact footprint which lowers capital cost. The mission of STEP is to address technical issues, reduce risks, and mature sCO2 technology. The project objective is to design, build, and test a 10 Megawatt electric pilot test facility for this purpose.